WSU gets a verbal from linebacker Willie Taylor III of Bleckley County High in Cochran, Ga.
It’s been a good week so far for Washington State’s Speed D, and their recruiting luck continued Tuesday when Bleckley County (Ga.) high school linebacker Willie Taylor III committed to the Cougars a day after they got a verbal from defensive end prospect Will Rodgers Jr.
Taylor, a 6-foot-4, 210-pound outside linebacker from Cochran, Ga., got on the Cougars’ radar through his high school coach’s relationship with WSU defensive coordinator Alex Grinch. 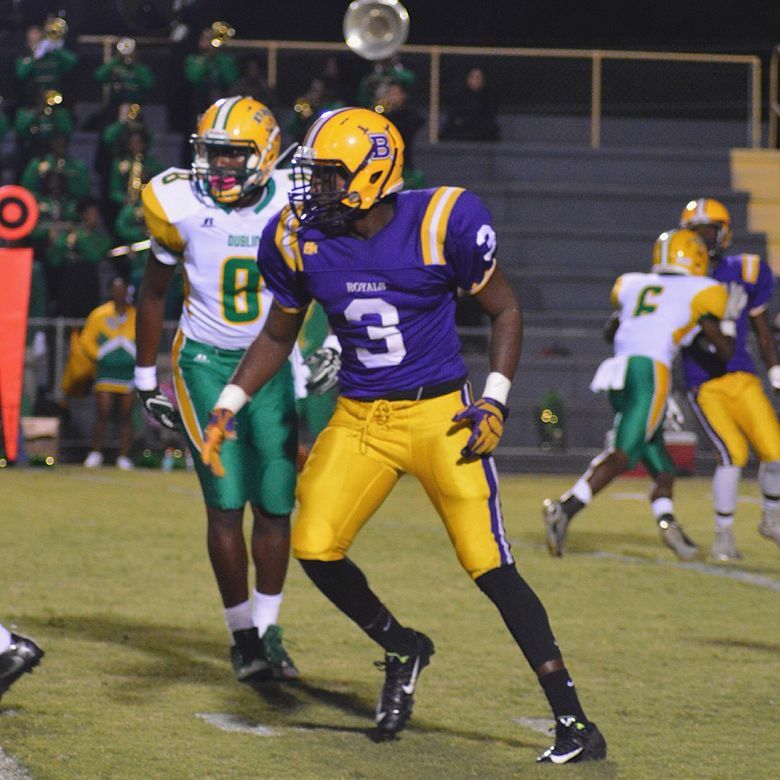 Grinch recruited a former teammate of Taylor’s when he was at Missouri, and kept in touch with Bleckley County’s head football coach – Tracy White. Three weeks ago, Grinch got in touch with Taylor and connected him with linebackers coach Roy Manning. Taylor, who also holds scholarship offers from Georgia State and Mercer, liked Grinch and cultivated a good relationship with Manning, who went out to Cochran on Sunday to pay Taylor and his family a home visit. On Tuesday, Taylor committed to WSU. “I know coach Grinch, and he’s a great defensive-minded guy. I thought it would be a great opportunity for me to go play in the Pac-12,” said Taylor, who played mostly safety in high school but will likely play outside linebacker at WSU. Taylor is rated a two-star recruit by 247Sports.com, and spent most of his high school career invested in basketball. But he started playing football during his junior year and quickly realized that football might be his ticket to a college scholarship.